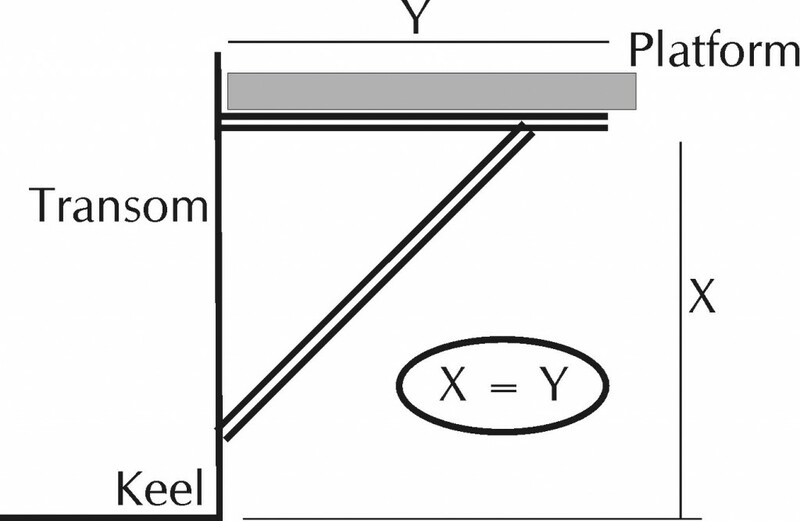 How to Measure Transoms For Boat Swim Platforms - PlasTEAK Inc. The length of the platform, which should be 3″ to 6″ (76.2mm to 152.4mm) shorter on each side than the full width of the transom to avoid hard knocks in tight places. The projection or how far it should go out. The transom curve or camber to which the platform is to fit. This can be shown as the CAMBER in the length of the platform you want. See “A” & “B” on the drawing below. Tip: Find a friend! It’s much easier to measure with 4 hands. The general rule of thumb is that the platform can go as far as (Y), as the bracket goes down the transom (X).